According to several sources, Nissan is planning on making "RS" versions of several of its most popular models. Nissan has already tried a few "special" editions of the Nissan GT-R, the Egoist, Black Edition, and the SpecV. MotorAuthority elaborated on an Auto Express interview with Andy Palmer, the Executive Vice President of Product Planning at Nissan. How exactly this fits in with Nissans in house tuner/racing brand - NISMO remains to be seen. 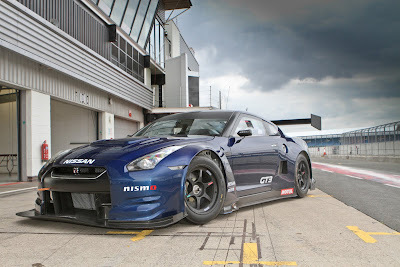 NISMO is Nissan Motorsports, but there are also several versions of vehicles that are sold, the 350Z, 370Z, and Frontier that use the NISMO name. The first cars to get this RS treatment are expected to be the Juke, the LEAF, expected to be followed by the 370Z, and GT-R.
Palmer also hinted that the GT-R and 370Z would get the RS treatment, but we’d have to wait until the next-generation 370Z appears in 2014 for that. Palmer says to expect the RS versions to be much more track focused, with the Juke-R referenced as a starting point. 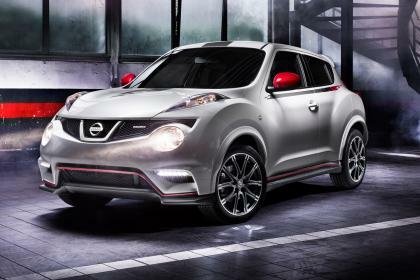 The Juke-R is a pretty radical vehicle, so its not something I would expect to be a starting point. Perhaps he meant the NISMO Juke as a starting point ?